‘Cledgy; sleech; slommocky’. I read Jane Rusbridge’s new novel whilst camping in torrential rain on the other side of the estuary to Bosham, where it’s set, and the squelchy sounds of these old Sussex words for mud, which one of her characters mulls over, conveyed all too accurately to me the pungent, marshy landscape. A powerful sense of place is just one quality of Rusbridge’s writing that marks it as above ordinary. Bosham, near Chichester, is believed to be the spot where King Cnut famously shamed his fawning courtiers by demonstrating that he couldn’t hold back the waves. A grave inside the church cradles the bones of his illegitimate eight-year-old daughter. This book is as richly textured with history as the ancient layers of the estuary mud. It’s to her rambling childhood home, Creek House, that a young woman named Nora has returned. Her international career as a virtuoso cellist has ended abruptly, and the reasons for this form the story’s central mystery. As Nora jogs in the early morning half-light, when ‘a mist ghosts the land’, she’s visited by memories of a passionate man with gold-flecked eyes. Whilst practising the cello, teaching the instrument to local schoolchildren, or playing to the residents of the old folks’ home, the magic of music threatens to overwhelm her with sorrow. The music and the man, her mentor, were her life and she cannot let them go, nor can she forget a terrible mistake she has made. At Creek House she tries to get along with her ageing mother, Ada, who drifts about in a haze of alcohol and French cigarettes, glamourizing a rackety past. The burden of the narrative shifts between mother and daughter, but whilst there’s definitely a coherent storyline, this is not a novel about events particularly, rather about the characters’ interior lives, concerning revelations and shifts in perspective. Rusbridge works by building layers of their thoughts, reactions and memories in supple, sensuous prose. Episodes from past and present slip in and out of focus so readily that the reader sometimes has to turn back a page to be sure of chronology. In her version of Bosham the author convincingly presents a traditional community that’s evolving: Harry, Ava’s handyman, is a painter and free spirit; Nora’s pal Evie, a scatter-brained young mother married to a Greek, is preparing to open a new café; the schoolmistressy local historian, Miss Macleod, becomes one of Nora’s pupils; the wife of the vicar, Steve, has upped sticks, leaving him managing their three children. A gang of destructive teenage tearaways casts a menacing air. This semi-rural backwater is stirred up by a modern invader. Jonny, a too-charming Londoner with a voice like treacle, is determined to make a television programme about Cnut’s little drowned princess. He also applies to exhume a second tomb in the church, once excavated by Nora’s archaeologist father, which contains the headless body of a Saxon warrior, around whose identity there is much excited speculation. 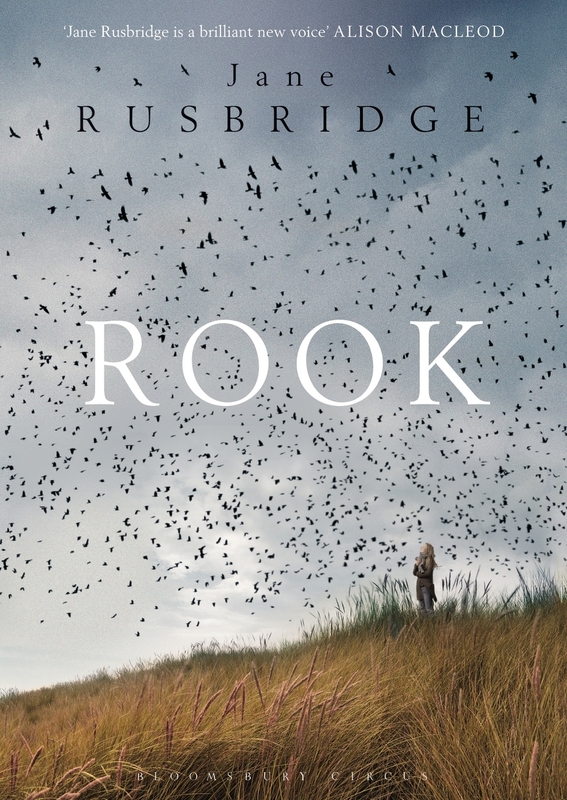 The novel is bookended by tantalizing snatches of scenes from the Saxon era, which link to Rook’s themes of grief and loss, of the clutching power of the past. Somehow I wanted more of these, but perhaps that would have turned it into a different kind of book. As for the novel’s title, Nora finds a half-dead fledging in a ditch and, with Harry’s help, nurses it back to rude, cantankerous health. 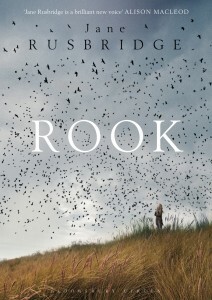 Rook might be viewed as a powerful metaphor for Nora’s difficulties, but he’s a strong character in his own right, unsentimentally evoked. Rusbridge’s fine perceptions of the natural world, the way her writing is steeped in the landscape, history and culture of West Sussex, help define her as a talented new regional voice. Rook makes me want to seek out her acclaimed first novel, The Devil’s Music, set in the 1950s, but I’m hoping this time I’ll learn some old Sussex words for sunshine!